I’ve always been a fan of Wolverine. I can remember being a really little kid and seeing cartoons and even then he was one of my favorite characters. I have no idea why…he’s nothing like any other character that I count as a favorite. Most of them are either snarky and sarcastic, or similar to a kicked puppy (yes, I am sad…)For some reason, Wolverine is a character that stuck with me from the cartoons to the movies. So I really wanted a comic book about him, and this seemed to fit the bill when I first saw it. Ummm…yeah…I don’t even know where to start. Artwork is alright, nothing really to write home about. I know comic books aren’t supposed to feel real, but this felt a little too much like a Saturday Morning Cartoon. Which is fine…its a style. Just not one I’m particularly fond of. 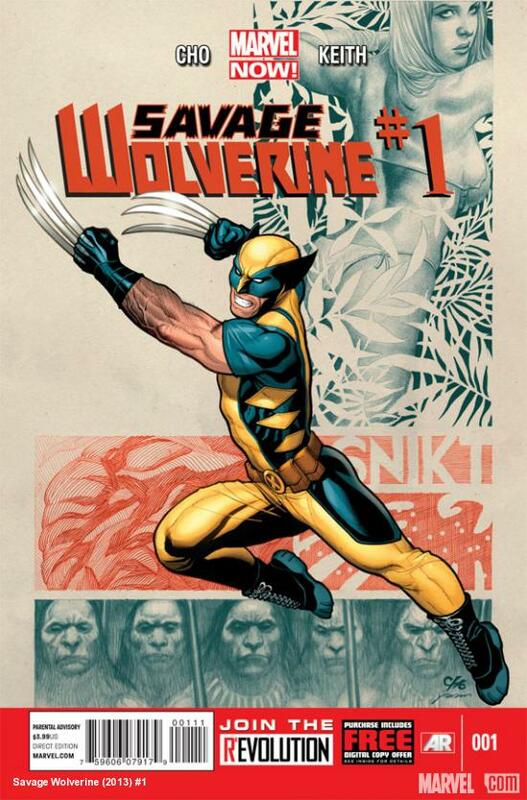 Story-wise, I hated the running commentary from Wolverine. It wasn’t necessary 90% of the time, and really just got in the way of the story more than it helped anything. To me, the point of having art in a comic book is so you don’t have to explain every last little detail. You can have a characters thoughts in there as well, but mostly when you can’t really explain what they’re saying with the art. They should complement each other, not repeat each other. And I felt like, for the most part, Wolverine was playing Captain Obvious and telling us things we could see quite clearly on our own! It was jarring, and it kept me from really enjoying what I was reading. Yeah…I can tell you right now that I have no love for this issue what-so-ever. I really didn’t have any plans on picking up the second one, but then SM and I talked today and she kept saying I should at least try two issues per series…things can get better after the first issue. *sigh* Maybe…I’ll think about it. But really, I’m leaning toward no. As I’ve been writing these blurbs, I’ve been rereading the issues so I would know what to say. This is the only issue that I refused to reread. This, in my opinion, is exactly what I never wanted to see in a comic, and I’m not eager to continue it.